Do you still have the fond memories of those days when people would eagerly wait for the daily newspaper every morning? In fact, many of you would agree that lots of people were so addicted to it they would begin their day with a newspaper in one hand and a cup of tea in another. First things first, they wanted to read the important headlines to get familiar with what’s happening in the domestic and international circuit. The electronic media arrived later after 2000 and since there was, flood news channels, running 24×7. However, as times have progressed, literally those days have gone. And most of you are aware of the prime reason; the advent of News and Newspaper App has caused a major setback for the print media industry. Now, let’s take this into the deeper insights and put some numbers and stats to explain how even the big bosses like ‘The New York Times’, ‘The Wall Street Journal’, ‘The Guardian’, ‘The Times of India’ have seen the slump in their readership. According to the Pew Research Center, there has been a fall both in the circulation and revenue of the newspapers in the United States, which is stated to decline by 10% in the weekday. Similarly, if we talk about India, the readership has decreased as per the May 2017 report of Audit Bureau of Circulation (ABC). Even the story of European countries such as Britain, France, and Germany are no different. 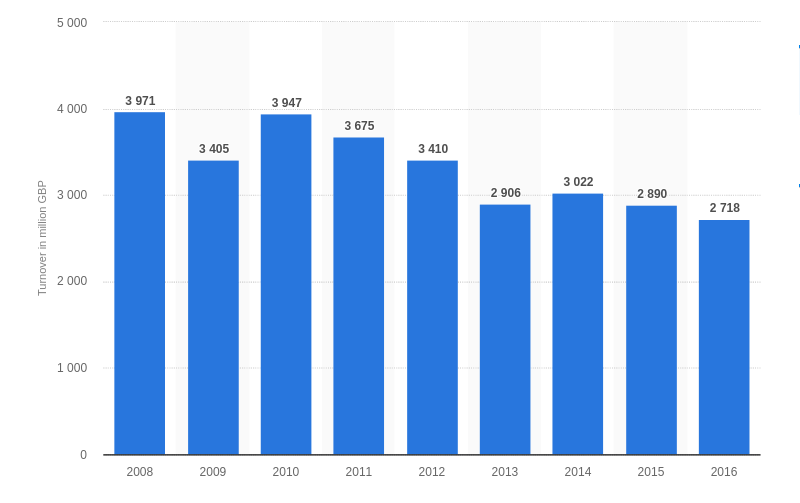 Statista indicates that the turnover of the retail sale of the periodicals in the U.K. has gone down significantly in the last decade. As such, it was about 3971 million 2008, which declined to 2718 in 2016. Let’s now analyze how the news-based apps and social media forums have played a key role in converting the readership of the global audiences. According to one of the available data, around 67% of the Americans gather news from the social media. Likewise, if we perceive the percentage of news app usage in various countries, then Sweden tops the list with 37%, followed by South Korea and Spain with 33% and 27% respectively. Before we go into the details of features and discuss the monetization policy of the newspaper apps, it’s essential to first look into the two types of news apps. The first category is News Aggregator, where the mobile applications cover incidents occurring in the regional, national or international arena. In fact, this type of news apps is widely popular amongst the users as it makes them aware of the world happenings with just a few taps around. But at the same time, the choice of news content to be displayed on the app is also extremely important. It should necessarily be interesting and something that grabs the user attention instantly. You need to decide whether your app would be paid or accessed free of cost. Besides the vital news such as political, sports, crime, business, entertainment, and weather report, you can also inform the users about the important events and exhibitions around the various cities. You can include optimistic news that provokes positive thoughts and inspires other people to do the same. The second category belongs to mobile apps for news resources. This would prove beneficial for people who are the owners of newspapers and web media. 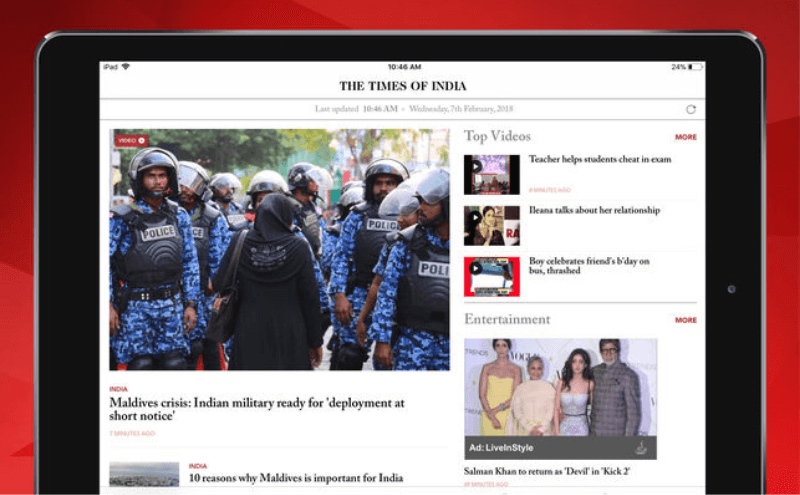 You can develop a news app version of your daily such as what ‘The Times of India’ has done to enhance the number of readership across the globe. The readers get breaking news immediately and read about the incident in real-time. It also allows the users to choose their niche of interest. Some individuals have keen interest in going through the political beat while some are curious to know what’s happening in the share market and business world. And with the 2019 General Elections just a few months away, the news-based apps are going to surge up as far as numbers of downloads are concerned. The news-based app falls within the on-demand app category. Therefore, it’s important to decide the monetization of Newspaper Mobile App. Of course, you as the owner want to earn more bucks at the end of the day and choosing the right monetization strategy will lead on the path of success and profit bearing. Here, you have got a few options to look at such as the advertisements and the paid subscriptions. It is rather easier to find good paid advertisements for the daily. You know how the newspapers nowadays are full of ads. But when it comes to the news app, the scenario undergoes a change. They have a different advertisement format such as splash ad during the release of the app and not so noticeable ads that continuously gets displayed on the screen. This is rather a common app monetizing strategy. But the question is why a user would pay an amount to subscribe for getting the news. So, you can offer two separate versions; one is paid and another is free. You can offer personalized services for the paid version and keep it ad-free. Well, you can opt for this third option if you get a good positive response from the potential audiences. You can organize some events such as social debates on current issues and advertize your news apps on such platforms. So far we have been shedding light on the different types of news apps and discussed about the various app monetization strategy. Now, it’s time to focus on the most essential features of the news app that is summed below. Like most of the on-demand apps, the news app also requires users to first register their account. It can be done through email-id or mobile number. The users can also use social media platforms to log-in fresh into the app. After the person has signed in into his account, he has to create a personal user profile, wherein he would be filling all the necessary details. This is when you can collect the important data of your user with respect to his likes and dislikes. However, remember not to keep the profile page too long. Whether you call it app marketing strategy or a vital feature, push notification will always help you out in increasing the customer retention and you can send important updates regarding news and other exciting offers as well. It is pivotal to offer the option of smart news filtering, which allows your users to segregate the different sections of the news including political, business, international, and sports etc. The news can also be chosen in accordance with Most Popular, Breaking News etc. We have already indicated earlier that lots of people gather news from different social media platforms such as Facebook, Twitter, WhatsApp and YouTube etc. Thus, it’s crucial to integrate social media so that the users can conveniently share the news amid their friends and other groups. However, you must check the authenticity of the news content before publishing it into the app so that it does not create a negative influence on the society. This is pretty straightforward. It lets the users find the exact news or the information they are looking for just by typing the few relevant keywords. Every hour or just within a span of few minutes, fresh news keeps arriving. So, the responsibility of the admin is to keep updating the news so that users are aware of current happenings. You need to also offer the offline services to your users where they can get access to the news even if there is no internet. This feature will help in expanding your user base because people cannot stay connected online all throughout the day. All you need to do is only store the news in the app cache when you have access to internet. This would let the users read the news when they are not using internet. Some news articles are exclusive and so you can use the favorite option to allow users to save those pieces of information. This feature would help to grow the base. There are times when users don’t find adequate time to read the news and this when the audio format will become a blessing for them as well as for you. Alternatively, they can convert the news into audio format and listen to as one hears news on All India Radio. The video integration will add that extra spice into the recipe and the audiences would love to watch the video. It will be one of the big boosting assets for your app. You can add the video resource for the selected news from a reliable source such as a news agency. It would allow the user to customize their app settings according to their needs. For instance, they can change the color background and increase or decrease the size of the font etc. In addition to these important features discussed above, there are some other features and functionalities controlled by the Admin. These basically include the personalization where you display the news content as per the likings of the audience. You also need to offer a strong and powerful Content Management System for the backend development. The content should be managed systematically well. At times, you can conduct opinion polls when there is an important issue for a referendum. The development team remains more or less the same with one project manager, iOS or Android developer or both, backend developer, UI and UX designer and lastly the Quality Assurance Manger or App tester. The cost of developing a news app would depend on the number of factors such as choice of Android or iOS, selection between native and hybrid, choosing the app development company or hiring freelancer, and whether you are going for in-house or outsource etc. Generally speaking, the cost of developing a news-based mobile application would range around $12,000 to $13,000. However, if you want to add some advanced features such as addition of audio and video content, then you need to pay $20K. The News is something which every age group of audience is connected to as it comprises a variety of niches. The news incidents may remain the same such as terrorist attacks, global warming, elections, sports events, the ups and downs of share market but the news format has changed and become more digitalized. With news app, you can get any information in real-time. So, its popularity and demand is escalating with the passage of time. 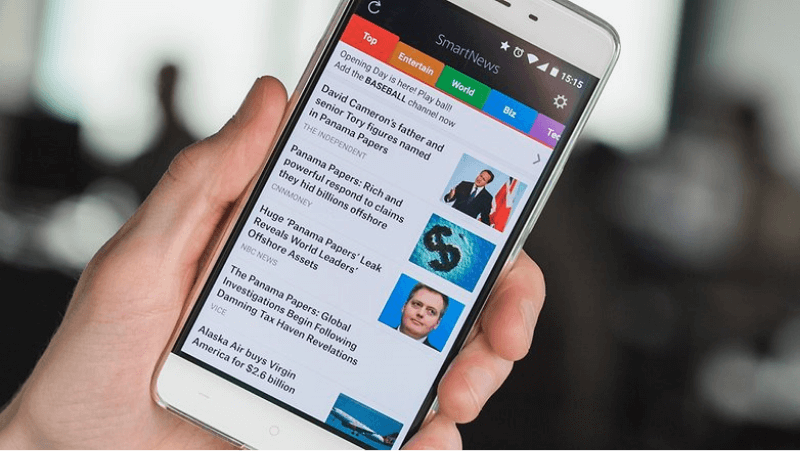 It’s time you should look forward to developing a news app and if you are searching for a budget-friendly and reliable partner, we are there to help you out. How is the Healthcare Sector Harnessing the Benefits of the Digital Transformation?